So you started an awesome blog with thousands of followers. Great! And, your Facebook page now has 10,000 likes. Excellent! Hopefully you’re now thinking about how you can monetize your stellar social media power, right? That’s where SociBuzz comes in. It’s social advertising made simple. Here’s their story. SociBuzz combines the efficiency of a social media marketing campaign with the power of a pay-per-click advertising network. If you need to promote your service, product or cause, SociBuzz allows you to do so in the voice of your social media accounts, with a network of publishers ready to make the social marketing reach and tell your story faster and more efficiently. Advertisers pay only for clicks that are valid and from the valid referral sources that you choose. SociBuzz has a total of 9,879 publishers with a reach of 23,445,395. Those are some pretty convincing stats. Makes me want to get some buzz going on my blogs so I can utilize our good friend SociBuzz to earn some extra cash. The site is pretty simple to navigate, and it’s easy to sign up and join the network of thousands of other publishers. 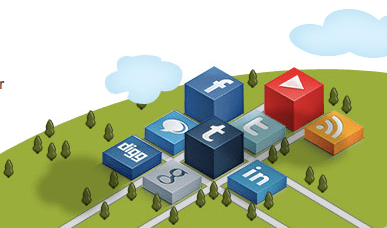 There are resources for both publishers and advertisers including a list of the Top Social Networking Sites and why SociBuzz is the Highest Paying Network for social media advertising. I particularly enjoyed the SociBuzz Blog. Check out the “Social Media Profile into Money” post to learn more about how you can turn your social media profiles into mini cash registers without having to make any changes. Average “non-power” users make $50-$100 a month, letting SociBuzz do all the work for them. Or, check out “Why Twitter Marketing Works” and see how businesses are making big bucks through our little tweeting friend. Whether you’re a publisher or an advertiser, SociBuzz wants to make sure you are utilizing your social media pull by leveraging their social media ad network to put more bucks in your bank. Sounds like a sweet social media song to me.